when you have their Little Prints. Choose from 3 Poems and 3 sizes! 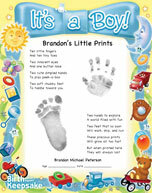 Little Prints can be ordered without personalization as a gift before the baby arrives. We'll title each print "My Little Prints". Order now! 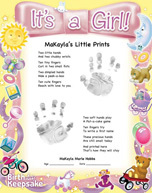 Your child's precious little prints grow bigger every day!